Our pricing is shown below. 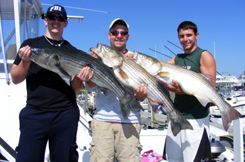 Our rates for Rhode Island fishing are very competitive with other small boat charters. 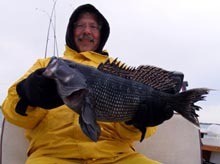 Rates run from $350 to $625 depending on the number of people, length of trip and distance we have to cover. Call for details. 15-20% tips are customary. Typically trips are half day or full day affairs. A half day trip runs 5 hours from the time we leave the dock until the time we return to the dock. Full day trips run 7 hours from the time we leave the dock until the time we return to the dock. 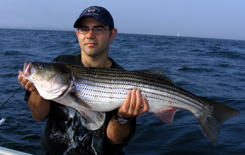 We can target the following species on our Rhode Island fishing charters: Striped Bass, Bluefish, Flounder, Tautog, Scup, and Tuna.